Sarah started running with her Dad at age 8 and hasn't stopped since. In addition to running, she also likes to compete in swimming and triathlons and spends as much time outside as possible. Being active and encouraging a healthy lifestyle to her family and community is a priority. 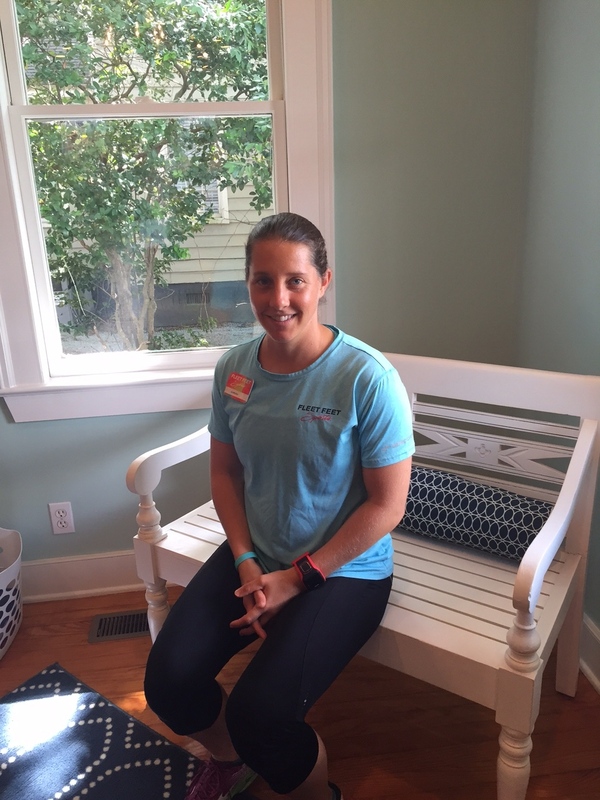 Originally drawn to Fleet Feet as a customer who has a love for shoes and fun socks, she is the Ambassador of Fun and coordinates group runs, pub runs, and other events to make a positive impact in the Summerville community. Sarah's most recently added roles are Assistant Manager and Fleet Feet Running Club Coordinator.